We’re going to talk about all the lovely perfect amazing wonderful tailgating food tomorrow, but I really want to show you this idea for a throw-together salad, ESPECIALLY if you’re like me and bought enough salad greens and herbs for 17 people to eat three times at the farmer’s market last week. 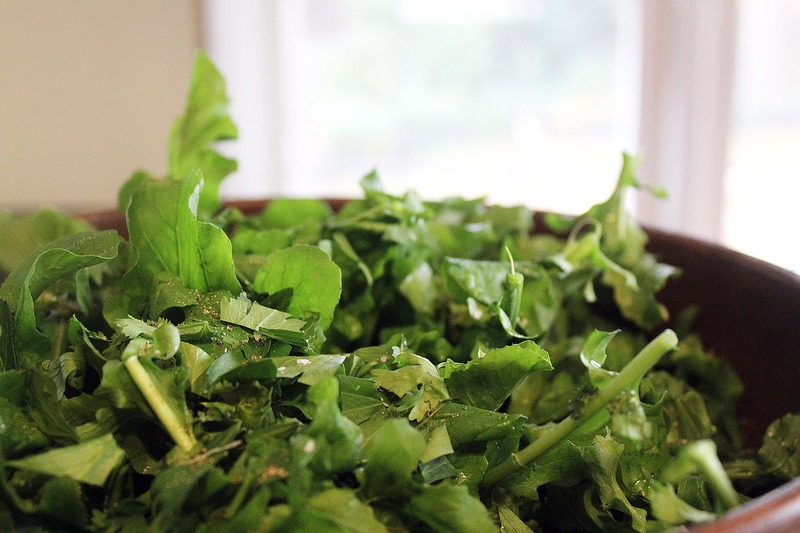 This salad is so simple, and can change as often as you’d like it to based on what greens and herbs are in season. 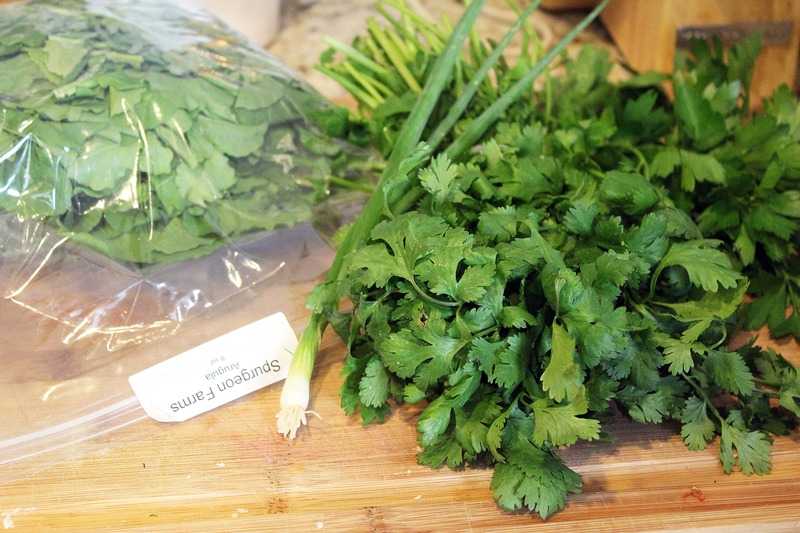 It’s just greens….herbs….and whateverseasoninganddressingyoulike. Sorry if that bores you, but sometimes the easiest things are just GOOD, aren’t they? That’s it! I don’t add any other veggies to this because I just LOVE the flavors from the herbs. You could of course use any salad dressing you like, but I really like vinaigrette or something very light that just adds a hint of flavor – otherwise the herbs and salt and pepper and greens will be drowned out, and they are really the star of this beauty. 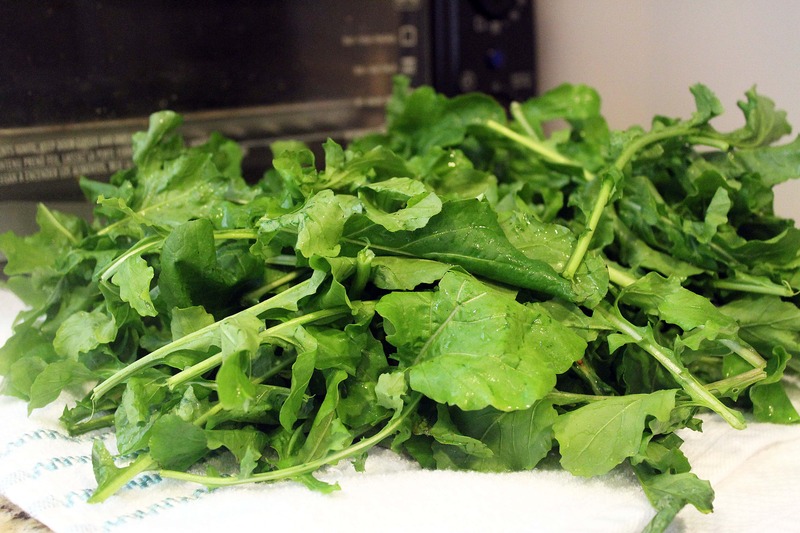 Now, be sure you wash your greens really well – this arugula from the farmers market was SO delicious and peppery, so I decided to use light herbs with it for contrast: cilantro and parsley. The flavors were beautiful together. 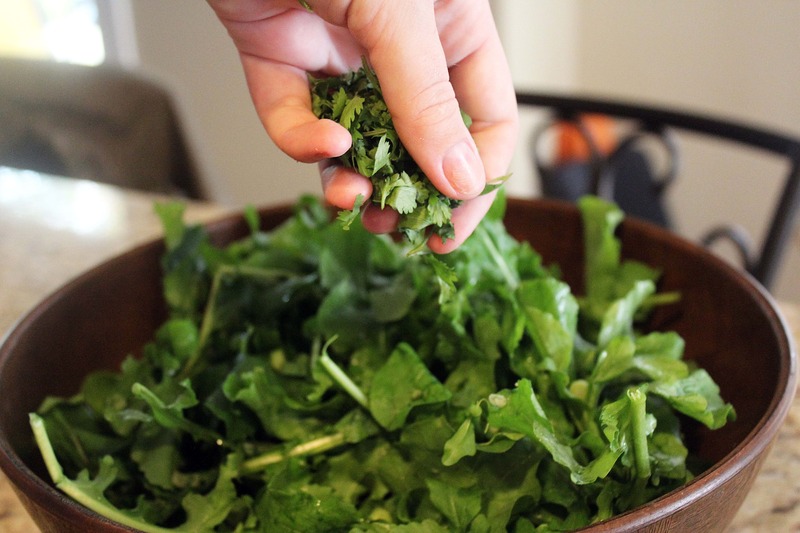 Pat your herbs lightly dry with clean dish towels. 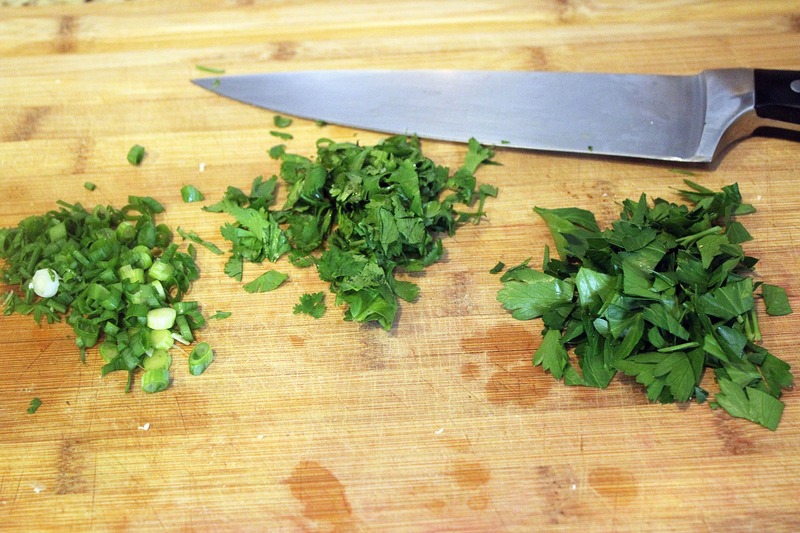 Thinly slice the scallion and roughly chop the herbs, and that’s all the prep work you need! 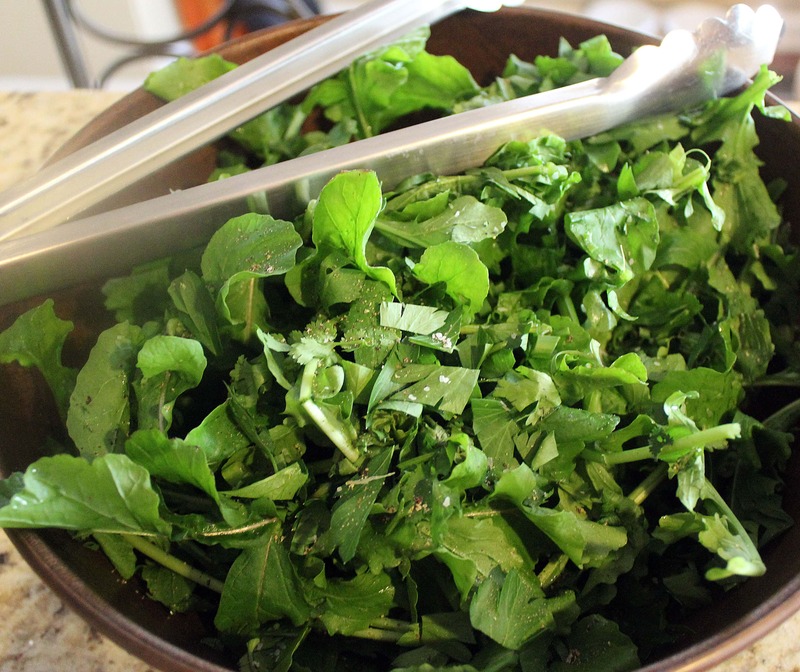 I like to serve this in a flat bowl so that the herbs and scallion can cover the whole surface of the greens. Then I sprinkle on lots of salt and pepper, and pass lemon/oil or dressing at the table. 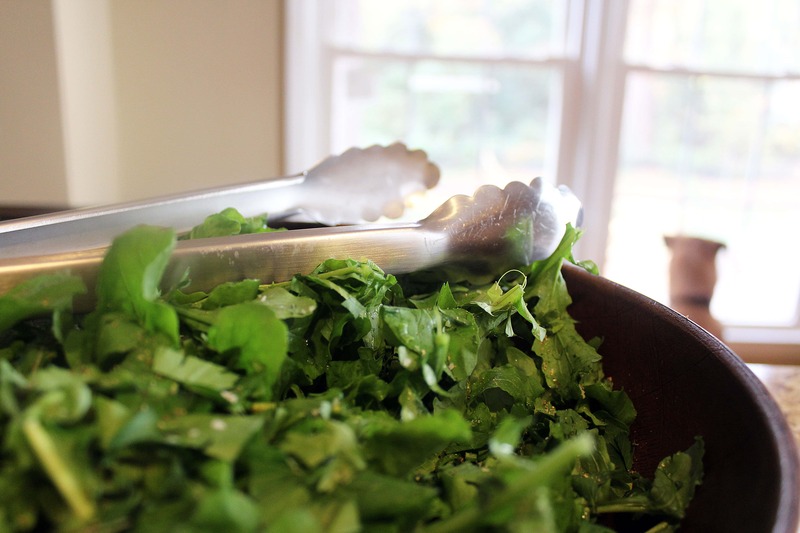 What other combinations of greens and herbs might we use? Kale/sage/rosemary….basil/taragon/frisee….this could go on for awhile. Enjoy this, it’s a huge hit every time.